It’s that time of year again to let us know when to stop your milk collection. You can use our online form to stop your collection between 2 and 10 days in advance. 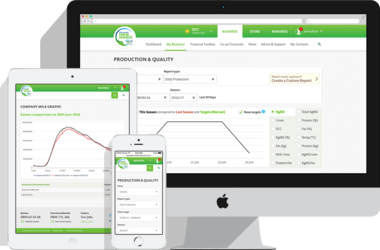 Quickly see key on-farm information at a glance like your milk production and price. Over 70 stores nationwide where farmers can get all their rural supplies and technical advice. Our Rewards programme for Fonterra farmers, delivering exclusive in-store deals and partner discounts. Quickly see key on-farm information at a glance like your milk production and price. We also have a range of financial tools to help you get more from your business.